﻿ Marine Guesthouse, Sokcho-si | FROM $12 - SAVE ON AGODA! "Such a perfect place for the price"
Have a question for Marine Guesthouse? "Everyone was very nice and the family room had plenty of room for our family of"
"Clean rooms, lovely staff, great breakfast bar, warm." 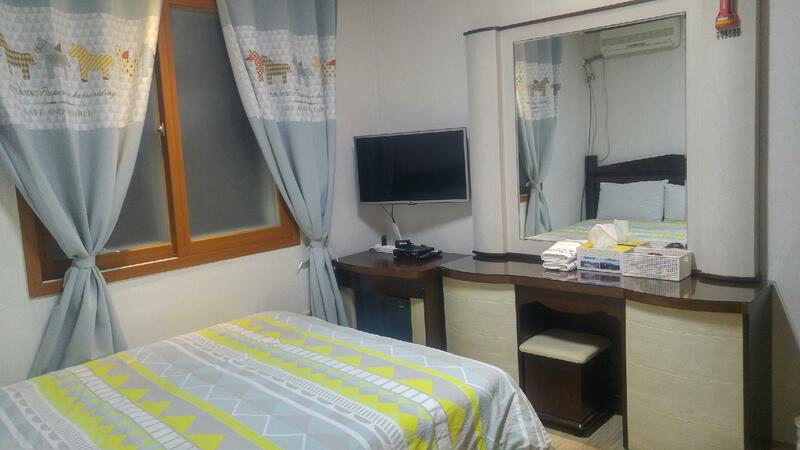 "We kind of like the place and its value for money with nice..."
Offering quality accommodations in the beaches, family fun, sightseeing district of Sokcho-si, Marine Guesthouse is a popular pick for both business and leisure travelers. From here, guests can enjoy easy access to all that the lively city has to offer. With the city's main attractions such as Daepo Port, Daepohang Port, Seorak Sunrise Park within close reach, visitors to the hotel will just love its location. Marine Guesthouse offers impeccable service and all the essential amenities to invigorate travelers. Guests of the hotel can enjoy on-site features like free Wi-Fi in all rooms, kitchen, Wi-Fi in public areas, car park, family room. Marine Guesthouse is home to 22 bedrooms. All are tastefully furnished and many even provide such comforts as internet access – wireless, internet access – wireless (complimentary), non smoking rooms, air conditioning, heating. Besides, the hotel's host of recreational offerings ensures you have plenty to do during your stay. Enjoy unparalleled services and a truly prestigious address at the Marine Guesthouse. 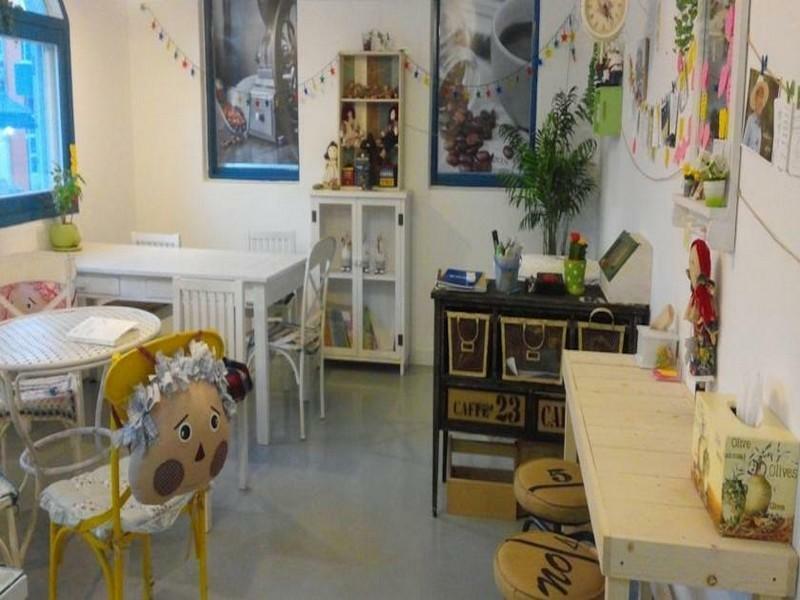 "Close to market, very clean, cozy, good staff, everything wa..."
This guesthouse is close to the fishing harbour and a few minutes by bus from the town centre. If fish is your thing, then there are plenty of local restaurants that cater to you. You don't save much money self catering in South Korea these days as food is expensive, but it is nice to occasionally cook. This hostel has a good kitchen (with condiments supplied + bread and egg. There is a small supermarket 50m away that stays open to around 10pm. The dorm was comfortable with a small fridge. There is no locker, but room for your luggage. The door can be locked. The bathroom was clean with a hot shower and shampoo/soap. The host speaks good English and is happy to give you travel information. Recommended. Location of this guesthouse is located at a port, not the best one but it was good enough for me, quiet and peace surroundings. There is a spot where sunrise can be seen but unfortunately was so foggy during my stay. Staff was nice, I enjoyed my stay. Good services, the gueshouse inside and the room is clean. The housekeeper provides detailed information about the spot. Near the bus stop going sokcho city and sorak mountain, taking about 15 mins. The guesthouse near sokcho beach, which is relaxing and beautiful. We can cook free breakfast - toast, egg , milk and coffee every morning for free. We feel satisfactory for the stay and will choose the guesthouse again. We kind of like the place and its value for money with nice location to reach. 15 minutes walk to Sokcho beach and 5 min to bus stand from where you can get bus no. 7-1 directly to Seoraksan national park. The staff is friendly and breakfast variety are decent (bread, eggs, jams, milk, coffee, juice). It is near to the fish market and port. Many restaurants nearby especially selling raw fish. Overall, it was a pleasant stay. Big clean room, well equiped kitchen, simple but all u can eat breakfast (toast, jam, eggs, coffee, tea, milk, juice). Bus stops to National Park or city center just within 2 minutes. Supermarkets, Restaurants next door..
Good reachable by bus from the Expressbusstation (1;1-1;7;7-1;9;9-1 1200Wpp) or Taxi (4200w). Best breakfast we had in guesthouses in Korea. Well equipped kitchen with stove and microwave. Rooms are not the newest but very warm in winter. 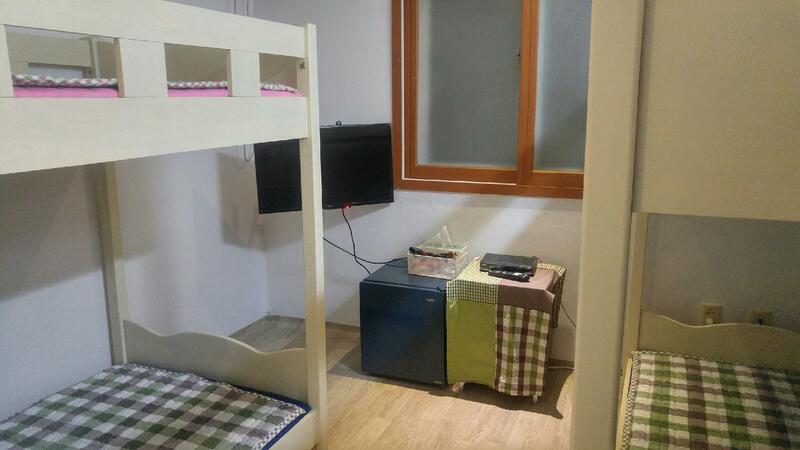 Price compared with other accommodations in Sokcho is good. The staff is very friendly and helpful they provided us with good hiking and walking tips. We will tay there again! Location was okay if you love Seafood which is expensive to eat for a budget traveler, kinda hard to find a place to eat except seafood only 1 chicken restorant 300mtr walking distance, close to the bus stop 7 or 7-1 to mt Seorak. Taxi cost 5,500 won from express bus terminal or you can take bus no. 7 or 7-1 stop at Daepo Hang and cross the road from the bus stop and walk 400 mtr to the guesthouse. No toothbrush and Towel, only hand towel provided. All Shampo,Soap,Lotion, Toothpaste are provided. You do your self service breakfast. They don't clean the bedroom, you need to get water bottle your self and hand towel from reception if you want the clean one. Heater worked great in the early cold winter. When we came back from hiking, the bedroom was warmed. On top of everything, it was a good stay and we had a good sleep after all day hiking mt Seorak. The staffs are very friendly and helpful to get the local information for us since we don't know to speak Korean. Surrounding with freah seafood market where you can try your luck to get cheap fresh seafood and few convinient store to buy the necessary stuff. The guesthouse is on a port surrounded by seafood markets. There is a bus stop at the end of the street where you can catch a bus to Seoraksan, Express Bus Terminal, downtown, and Rodeo Drive. Beaches are about 2km from the guesthouse. My room was very clean and comfortable. The staff was nice. WiFi worked well. I came to town for the beaches and Pokemon. There are Poke'stops on the harbor, and I could access one from my bed. My biggest problem was that as a solo traveler; it was hard to find meals for one in this area. Solutions were a bus or cheap cab ride away. 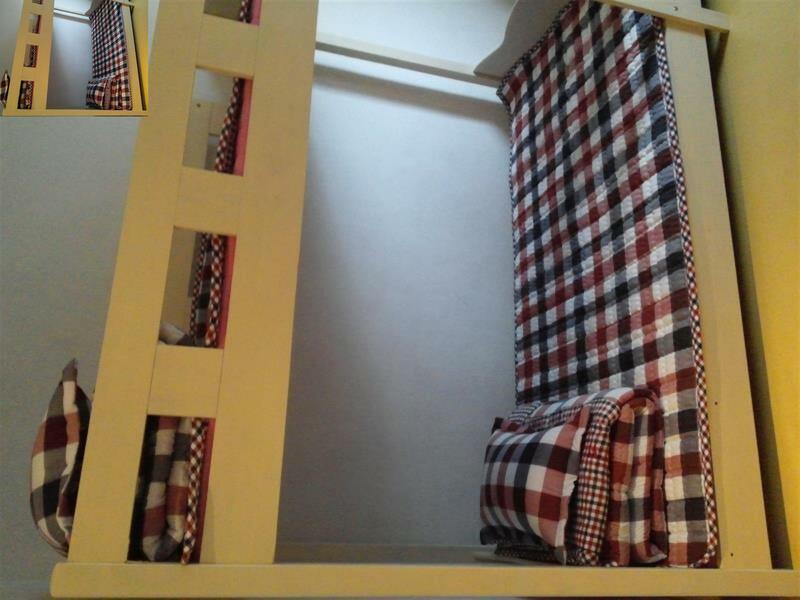 we were very satisfied with this guesthouse, we are family traveler with infant and 3 kids. the hotel location is near sokcho beach and close to restaurant area, you can find a lot of raw seafood restaurant here, special thanks to the guesthouse owner which very kind to us and willing to show us around place to find a good food and even cooked rice for us. two thumbs up. We found Sokcho interesting, out of the city area but there is something about it that we like. This hotel situated near fish market where seafood lovers should go. The owner is so nice to drop us to Sokcho town for shopping. 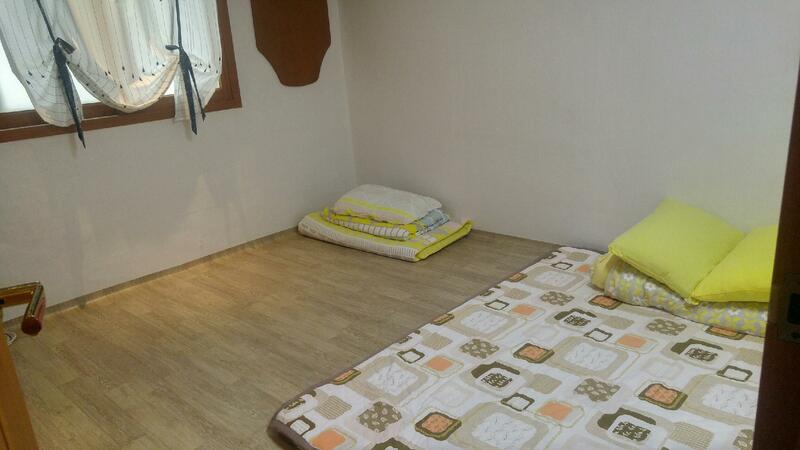 Easy access to the bus station and fair distance to Seoraksan. It was nice stay at the guest house. Well maintained Budget accommodation. Staff were very helpful, though they were not much comfortable in English still tried their best to help us with different queries about the area and navigation. We really enjoyed our stay & would stay again. The owner/staff are very nice they helped us book our airline ticket. Free breakfast & free laundry. Excellent location close to fresh fish market. About $30 for 4 different kinds of sashimi good for 4 people. The fish & squid were alive & they cut & clean it in front of you! The Seorak National Park is very close around $10-$15 by taxi or $1.20 for 15-minute bus ride. We recommend this guesthouse. From Dongseoul express bus terminal, we took the 9.20am bus to Sokcho, arriving at Sokcho express bus terminal at 11:50am. We took bus 7-1 to visit Soeraksan National Park. On returning from Soeraksan, we got down at the bus stop opposite 7-11 shop at the Daepohang Port. From there,we could see Paris Baquete shop at the beginning of the main street, then we walked pass Paris Baquete towards the port town's main street. We found the guesthouse (which is converted from one of the shoplot) located next to another 7-11 shop at about the center of the street. The lady staff was attending to her coffee stall in front of the guesthouse. After we waited for about 5 mins, she came in to show us our room. She allowed us to choose from three available rooms. We did not take the korean style deluxe room which we booked, instead we took a normal double room facing the main street. The room is adequate size , so is the bathroom and are clean. We did not expect much as it is only a guesthouse. Breakfast was simple and we had to cook the eggs and toast the bread ourself, but enough to fill the stomach. Coffee and salad were ready made. In the evening, we walked to the back of the hotel to look at the port and it was misty. There was the raw fish market where you could buy and cooked your seafood meal there. We continued to walk down the main street to look at the many seafood restaurants and stalls. We finally settled for one at almost the end of the street. We had one live octopus and one live crab steamed for our dinner, paying 80000won in total. In the morning, we took a taxi to the inter-city bus terminal to catch a bus to Chuncheon where we took a taxi to Nami Island entrance point. We enjoyed our stay in Sokcho. The room was clean and big, the breakfast had toasts, eggs, sausages and coffee (self serve, so you could do what you want with it), staff was friendly. I had a very nice stay, although it isn't in downtown Sokcho (it is far south) the area is very nice to stay in, close to the pier, the beach and a UNESCO national pard (need to take a bus) and quieter than downtown. It's a good place to relax and read. It still had restaurants and a lot of local fiche man life, but not many shops. The room was big and clean, felt very safe, ended up staying longer than originally planned. 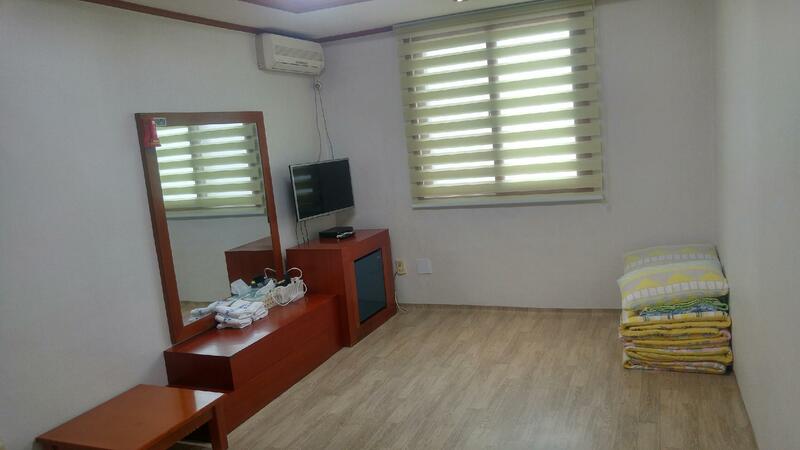 If you would like to visit sokcho and searaksan park i suggest to choice this guest house. 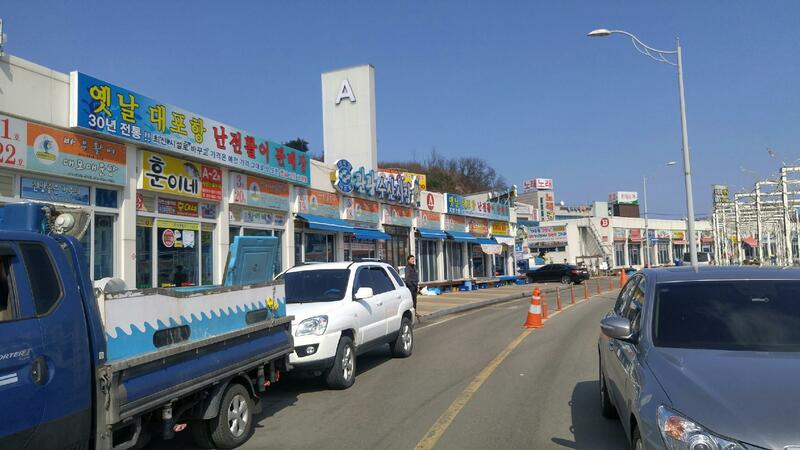 You can enjoy the fish market and all interesting place jn sokcho.